You must be a member of the New Delhi Food Group to attend this activity. Would you like to join this group? 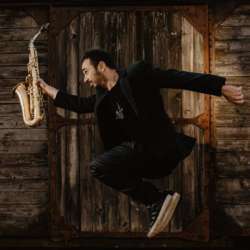 After a hiatous of two years Italian Jazz Sax virtuoso Gianno Denitto is back in India. We are promising you an evening of fun with friends ,great music. Followed by Italian Ala- Carte dinner 8.30 pm - 9.30 pm. No cover charge . Pay as u order with a 25% discount on food n soft beverages for our table. Look forward to seeing u all on Friday 1 st Feb @8.30 pm.